The hosts controlled proceedings throughout, but Laura O’Sullivan put in a player of the match performance in the Red Dragons’ goal to earn her side a point which keeps them atop World Cup qualifying Group 1. Wales boss Jayne Ludlow had set her side up in an ultra-defensive formation, often with all 11 players behind the ball, but the strategy worked as they stay one point clear of England on the road to France 2019, having played a game more. England huffed and puffed but were unable to find a goal to cheer the 25,000 that had packed out St. Mary’s. It was the Lionesses’ biggest home attendance, outside Wembley, since the Euro 2005 opener against Finland. As they have done throughout this qualifying campaign, England were on top from the off, although Carly Telford, making her first international start since September 2015, was the first keeper called into action. A Wales counter-attack ended with Rachel Rowe smashing an angled volley goalwards, but the Chelsea stopper produced a fine fingertip save. 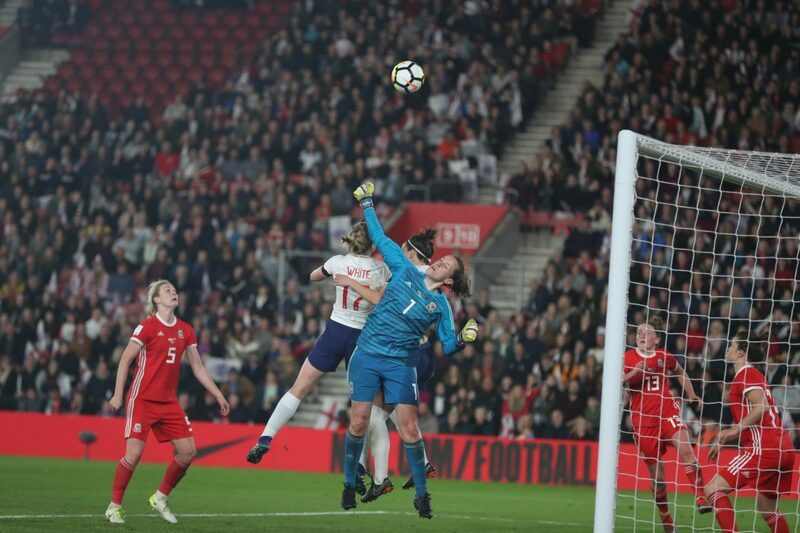 The visitors came close to taking the lead from the resulting corner when Natasha Harding’s shot ricocheted off both Abbie McManus and Steph Houghton – but their defensive colleague Lucy Bronze bailed them out with a goalline clearance. But England recovered and soon started to pepper the Wales goal, with Toni Duggan and Jordan Nobbs both forcing O’Sullivan to palm decent efforts behind. It was to prove a sign of things to come. The Arsenal midfielder came even closer with a rasping 25-yard drive but O’Sullivan stretched every sinew to tip the ball onto the bar. Fran Kirby, Houghton and substitute Melissa Lawley, on for Nikita Parris, all registered shots at goal early in the second half, as England picked up where they left off. 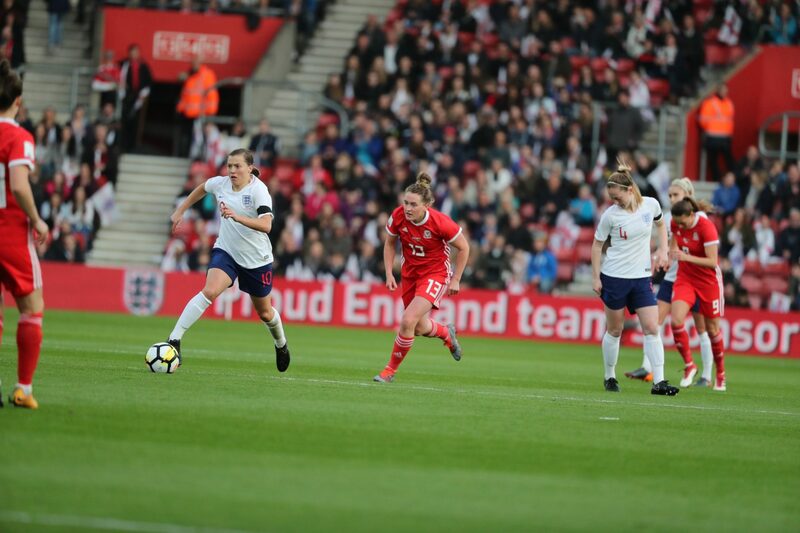 Another sub, Ellen White – who replaced Jodie Taylor – came close to continuing her purple patch in front of goal but her glancing header, from Bronze’s cross, bent just wide of the far post. The Birmingham hotshot offered a lively presence up top and forced O’Sullivan into yet another excellent stop, this time with a powerful swivel-and-shot. Neville introduced Arsenal striker Beth Mead for her England debut in an attempt to find that elusive goal, but the game’s next clear opportunity fell to a defender. 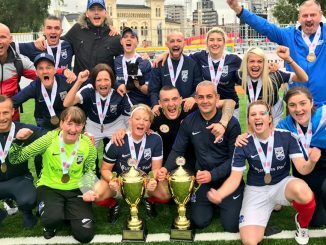 O’Sullivan was the game’s stand-out player but a rare loose punch, save from the one that inadvertently gave Rhiannon Roberts a bloodied nose, presented a late chance for McManus, but the 23-year-old snatched at the shot and the ball hit the side-netting. As four added minutes were being announced, Kirby wound-up a last-ditch 20-yard curler, but the Wales No1 was once more in the way to repel. England are back in action next Tuesday when they take on Bosnia in Zenica in the first of four consecutive away qualifiers. 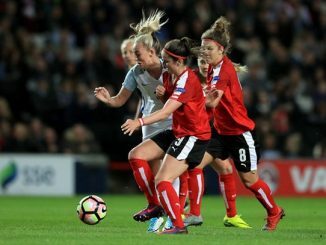 England (4-3-3): 1 Carly Telford (Chelsea); 2 Lucy Bronze (Lyon), 5 Steph Houghton (capt; Manchester City), 6 Abbie McManus (Manchester City), 3 Demi Stokes (Manchester City); 8 Jordan Nobbs (Arsenal), 4 Keira Walsh (Manchester City), 10 Fran Kirby (Chelsea); 7 Nikita Parris (Manchester City), 9 Jodie Taylor (Seattle Reign), 11 Toni Duggan (Barcelona). Substitutes: 17 Ellen White (Birmingham City) for Taylor 55, 15 Melissa Lawley (Manchester City) for Parris 55, 18 Beth Mead (Arsenal) for Duggan 80. Substitutes not used: 13 Karen Bardsley (Manchester City), 12 Rachel Daly (Houston Dash), 14 Gabby George (Everton), 16 Isobel Christiansen (Manchester City). Wales: 1 Laura O’Sullivan, 2 Loren Dykes, 4 Sophie Ingle (capt), 5 Rhiannon Roberts, 7 Natasha Harding, 8 Angharad James, 9 Kayleigh Green, 10 Jess Fishlock, 13 Rachel Rowe, 14 Hayley Ladd, 17 Charlotte Estcourt. Substitutes not used: 12 Claire Skinner, 6 Alice Griffiths, 11 Nadia Lawrence, 15 Elise Hughes, 18 Melissa Fletcher, 19 Hannah Miles, 20 Helen Ward. Bookings: Harding 45, Ingle 85.